In this sequel to Hero, Ben and Hero are back. As the weekend approaches, Ben plans to spend it with his friend Noah when his mother and sister travel south. His friend Jack plans to run away with his dog, Scout, to see his father north of Gulfport. When a hurricane changes course and is heading directly to their town, Ben's father tells Ben and Noah to batten down the house and stay in the basement. Of course, they decide to go looking for Jack after telling his mother, a doctor who must report to the hospital, that Jack will be with them. 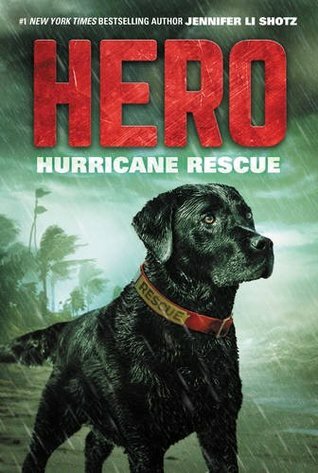 Hero uses his rescue dog skills to locate Jack, who has been pinned beneath a tree. Luckily, he is unhurt, but the boys face alligators, sudden flooding, a mudslide, and a Boy Scout troop whose leader has broken his leg and sends the troop off to safety with the boys. Strengths: This is a very fast-paced, exciting book with lots of action and adventure packed into the pages! It can be read independently of Hero, but readers who like the first book will be pleased to see another short, riveting book. Weaknesses: There's not a lot of room for character development, but that's okay. What I really think: Great pick for reluctant readers who aren't quite strong enough readers for Watt Key's survival books.